CAIRO (Reuters) – One of the biggest Egyptian travel companies, Travco Group, said on Tuesday that hotel bookings are rising as tourists return to the country after years of political turmoil and security concerns. Tourism is a cornerstone of Egypt’s economy, a source of income for millions of citizens and a major source of foreign exchange. But the sector suffered severely in the years following 2011’s popular uprising and was further hampered by a spate of militant attacks which targeted visitors. Egypt’s revenues from tourism jumped 77 percent year-on-year in the first half of 2018 to $4.8 billion, while the number of tourists arriving in the country increased by 41 percent to just over 5 million. Travco Group, which owns over 40 hotels in Egypt and abroad and is the local agent for Germany’s TUI Group (TUIGn.DE), raised its prices by 30-35 percent at the beginning of this winter season, its CEO Hamed El Chiaty told Reuters in an interview. “The level of tourist bookings during the current winter holiday season in Egypt is promising,” Chiaty said, adding that bookings from Germany, Italy, Poland and Ukraine were particularly promising. In a devastating blow to the already struggling sector, Russia halted all flights to Egypt, and Britain stopped flights to Sinai, after an Islamist militant bomb attack brought down a Russian passenger plane in October 2015, killing everyone on board. 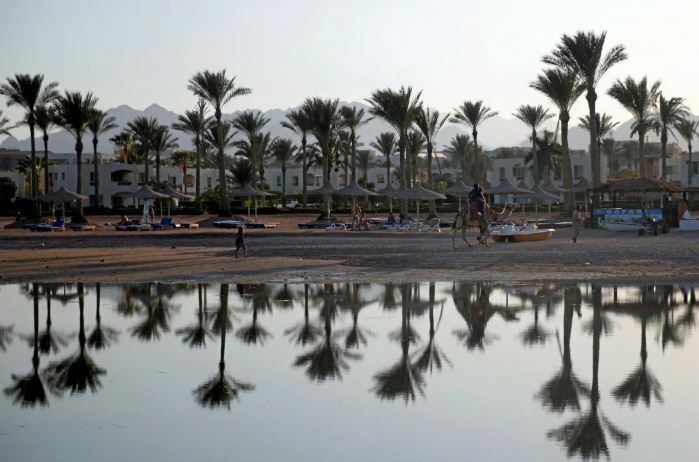 There have not been any major attacks aimed at the tourist sector in well over a year and Russia resumed flights to Cairo in April, although it has yet to authorize its aircraft to land in the Red Sea resort of Sham al-Sheikh. Chiaty said that Travco’s price increases were the highest in seven years, rising to pre-2011 levels, while occupancy levels at the group’s hotels were more than 80 percent, with the exception of Sharm al-Sheikh. Travco has market share of between 15 and 20 percent of the Polish, Belgian, English, Italian, Ukrainian and Austrian markets, Chiaty said, adding that it had recently refurbished its hotels. Reporting by Mohamed Sayed; Writing by Yousef Saba; Editing by Kirsten Donovan.